Get ready for the next Boston Museum of Fine Arts blockbuster. 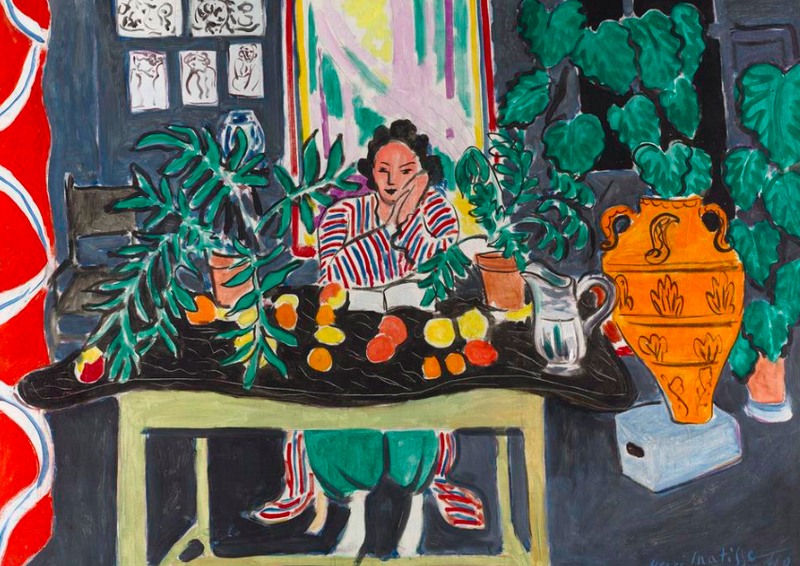 Matisse in the Studio opens this Sunday, but already it’s gotten two – count ’em, two – boffo reviews in the Wall Street Journal. Start with this swoon from Susan Delson two weeks ago. A glass vase, picked up in Spain. A small Congolese figure, bought from a dealer in Paris. A pot for making hot chocolate. A pewter jug. A vivid textile from North Africa. As we learn from a new exhibition in Boston, such inexpensive, ordinary things often served as the wellsprings of Henri Matisse’s art. Opening April 9 at the Museum of Fine Arts, “Matisse in the Studio” assembles some 40 objects that the artist surrounded himself with—including that Venetian chair—along with more than 80 of the paintings, drawings and other artworks that they inspired. The French artist (1869–1954) once said about his collection, “A good actor can have a part in 10 different plays; an object can play a role in 10 different pictures.” Painting a likeness wasn’t the goal. 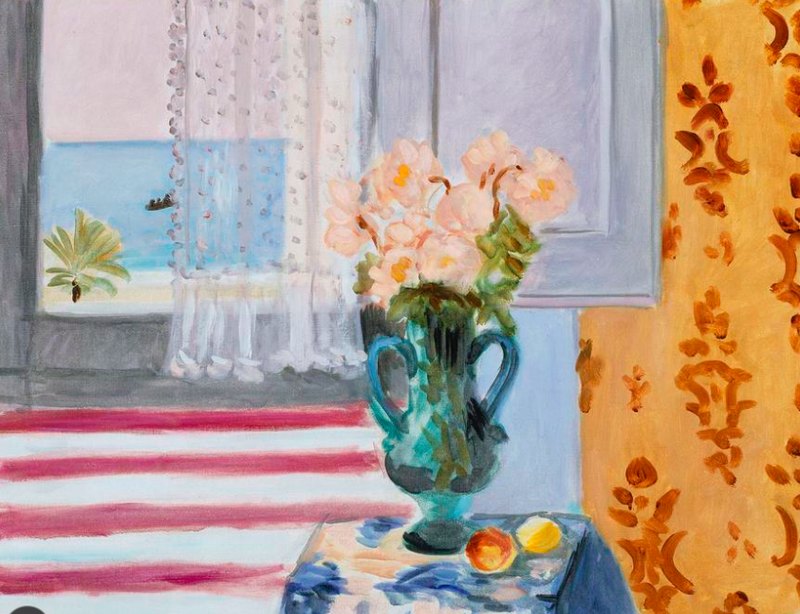 Instead, Matisse wanted to capture his own emotional response to the object at that moment. As well he did, according to Eric Gibson’s piece in yesterday’s Journal. By pairing works by Henri Matisse with objects from his studio, a portrait emerges of the artist and his creative process. How does an artist’s mind work? There’s no one-size-fits-all answer to that question, but broadly speaking we can say that it passes external stimuli through the refiner’s fire of an individual sensibility or vision. The trouble is, we have almost no access to this process since we see only the end result, the finished work of art on the wall or pedestal. See you at the MFA, yes? This entry was posted in Uncategorized and tagged Boston Museum of Fine Arts, Eric Gibson, Matisse in the Studio, Susan Delson, Wall Street Journal. Bookmark the permalink.